Israeli doctors and aid workers are doing their work in secret because of the animosity between Syria and Israel – when they visit refugee camps on the border of Syria they have to change their clothes in order to blend in and have to be smuggled in and out. I believe that there is no peace settlement between Israel and the Palestinians because BOTH sides have made unrealistic demands of the other. For example, the Palestinians demand that Israel allow Palestinian refugees and their descendants be allowed to return to the land and homes they abandoned in 1948; as if America might ever return Manhattan to Native Americans. Israel comes to the negotiations with persona of a victor prepared to accept terms of surrender, not as an equal partner to a process that must ultimately recognize and respect that national ambitions of Jews and Palestinians. The nasty politics and mutual incriminations coming from both sides have left the Israeli public cynical about having a serious partner in peace to negotiate with and has left Israel looking like a military bully prepared to leave 2 million people to live as second class citizens indefinitely under martial law. As critical as I often am with Israeli leadership, I know that Judaism as a religion and as Israel as the defacto Jewish State subscribe to the belief that all human beings are children of the same God. I have no doubt that there are an embarrassingly significant numbers of Jewish Israelis who die-hard bigots when it comes to Arabs in general and Palestinians in particular. Likewise, one only has to turn on Palestinian radio or television to hear vile descriptions that suggest that Jews are inherently evil. The highly dysfunctional relationship between Israelis and Palestinian is more a reflection of decades of the cycle of violence and mistrust than tribal chauvinism. It’s a shame that the bigots on both sides seem to always have the upper hand politically and the loudest voices. The story below is I believe, a reflection of what the heart and soul of the Jewish State is really, ultimately all about. How many Arab states would extend a similar hand to help Jewish people in need? Recently, the Israeli-Syrian border has become a focal point of tension due to the ongoing Syrian rebellion against the regime of President Bashar al-Assad. The main victims of this internal conflict are the Syrian civilians themselves. According to the United Nations, at least 100,000 Syrians have been killed in the fighting over the past three years. 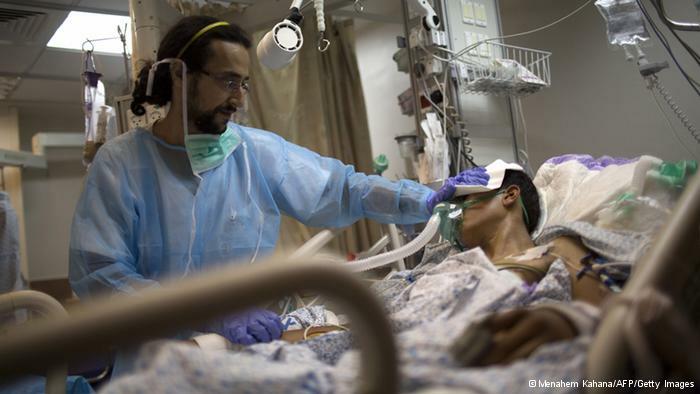 A large number of the patients suffer extreme trauma as a result of the conflict. After seeing death and destruction all around them, they carry difficult memories that are just as painful as their physical wounds. To ease the psychological trauma of young children, clowns visit the hospital on a regular basis, giving them a chance to laugh and smile.